Barefoot Angie Bee: Random goodness going on. I am not sure where to start really. There has been so much going on so I suppose I should update on my marathon plan. I am running the Des Moines Marathon in October and I have less than 10 weeks away. I was sidelined by anemia but think I am back on track. I came up with my plan while doing a nuun sampling and when the store is slow and I am just standing there I decided to be productive. My plan is aggressive and only focuses on 3 quality runs a week. Long run, fartleks, hills. Any other runs I do have to be limited to only a few miles. I also am emphasizing rest since my long runs are going to be quite long. I always put off resting. I am talking laying on the couch with my feet up and reading or watching a movie a couple times a week. Its harder than it sounds for sure. Its silly to think that this close I can get my speed up to where I want it to be so my priorities have changed. Its my first barefoot marathon so any time will be a PR. I have thought long and hard about changing and just going with a half but really I know I can pull of a full so might as well get it over with and get er' done. So far the plan is to have run 26 miles twice and a 23 miler in there too which might turn into the 40k virtual run for Erika's Virtual Birthday race. I don't know how conventional this plan is but hell I am a barefoot runner so conventional rarely works for me and I know it so I made my own plan! In other news, My dad is in town to do the Easter Seals Walk With Me run and walk tomorrow. He brought my oldest son home today too which was wonderful to see him again. The big 10 year old tween spawn has been traveling and seeing different family for just shy of a month. Man I missed that kid! The Walk/Run tomorrow had to change locations due to the flooding from last night. 3.3 inches of rain fell last night and there were some crazy flash floods. We are in a pretty safe area and have not been directly affected but my shaded bike trail parallels a train track for a bit and a train derailed from a washed out track. I received groovy stuff in the mail today! I get to try out a Snorg hoodie from Snorg Tees! This is the one I chose. 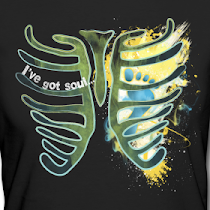 I get to give away a t-shirt (your choice) to a lucky winner too! I plan to start that giveaway after my Silver Maple giveaway ends. Jacque from The Silver Maple sent me some polishing cloths for my necklace and I was so very surprised to see the natural tarnish that silver gets from oxidation just wipe away! I just love my necklace and I hope that I have introduced you to something inspirational from her site as well. So coming up, SnorgTees Giveaway and a nuun giveaway as well. Its been a while since I have done one of those. I hope everyones running is going well. Lots of marathoners training and I love to read about your progress! I'm so glad that you're sticking to the plan. Just make sure that your iron levels are strong. Three tough days a week is a great plan - especially for us working family gals. I have to do something similar when school starts again. Plans are good! I can't wait to hear how it goes! Your long run distances are a little unconventional - usually marathoners top out at a 22 miler. The thinking is any more than that requires too much recovery time. If you can get those distances in without wearing yourself out, you should be in great shape for October. Just know that if you're at mile 20 of a 26 mile long run, you'd probably be fine cutting it short if you had to. Also, good idea scrapping the time goal. Just get yourself in as good a shape as possible, and que sera, sera. Sounds like a great plan. I'll be cheering you on. I'm seriously impressed as my little 3.1 barefoot this morning left my big toe a bit sore. After those long runs you are going to be sooo ready. Hope the rains stop soon. I imagine after running several miles on wet the skin on your soles becomes tender. Awesome that you have a plan in place to get you to the full. 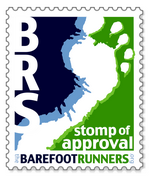 I can not WAIT to hear about your first barefoot marathon!! MY 9 year old (10 in 4 days, but I'm holding on to 9 as loong as possible) is away with family right now for a couple of weeks. It's hard having them gone! I finally tried some Nuun this weekend on my hike! I found them at a local bike shop and bought some samples. Pretty cool stuff. Oh..also...no one else under 80 has been to an opera either. OK, I MIGHT be exaggerating a bit, but only a BIT. Happy you have a plan, I know you'll rock it. Love the plan! My plan is equally as unconventional but I figure it's what works best for me. I think you will do far better than you're expecting! Stay strong!